Today, Jack Sievers, child #2, was the chef in our kitchen. He decided he wanted to make desert! That’s no shocker. We both pondered a few different recipes based on ingredients we had at home. We decided to go basic, but something with big and rich flavors. There’s one thing you will always find in my kitchen – a big box of Ghirardelli Triple Chocolate Brownie Mix from Costco. In my opinion, it’s the best brownie mix out of a box. They are rich with big chucks of chocolate. Jack decided he wanted to top them with marshmallows. I told him that was a good idea and maybe we could add another topping. So there you have it – Marshmallow Fudge Brownies! 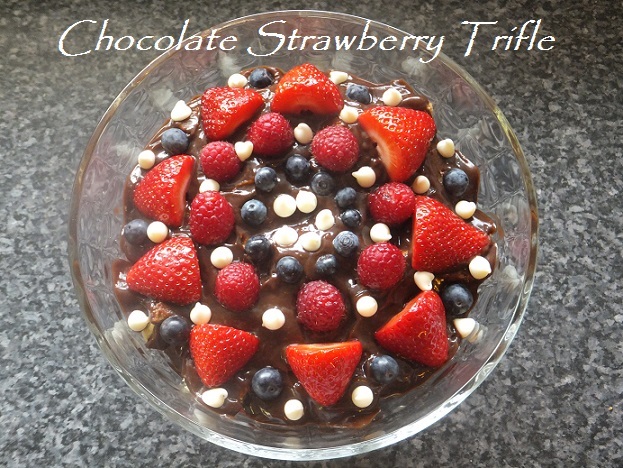 This is an easy recipe to involve the kids in the kitchen and they will love the end result. Preheat oven to 350 degrees. Let brownies cool completely. In large sauce pan, combine, butter, milk, unsweetened chocolate, and cream cheese. Cook over low heat, stirring until well blended. Remove from heat, stir in powdered sugar and vanilla until smooth. Sprinkle marshmallows over brownies and bake for 2-5 minutes until puffed. Remove brownies from oven and immediately pour frosting over marshmallows. Lightly swirl to a marble with a knife. Refrigerate for one hour or until firm. I love desserts, and chocolate. This is one of my favorite desserts! 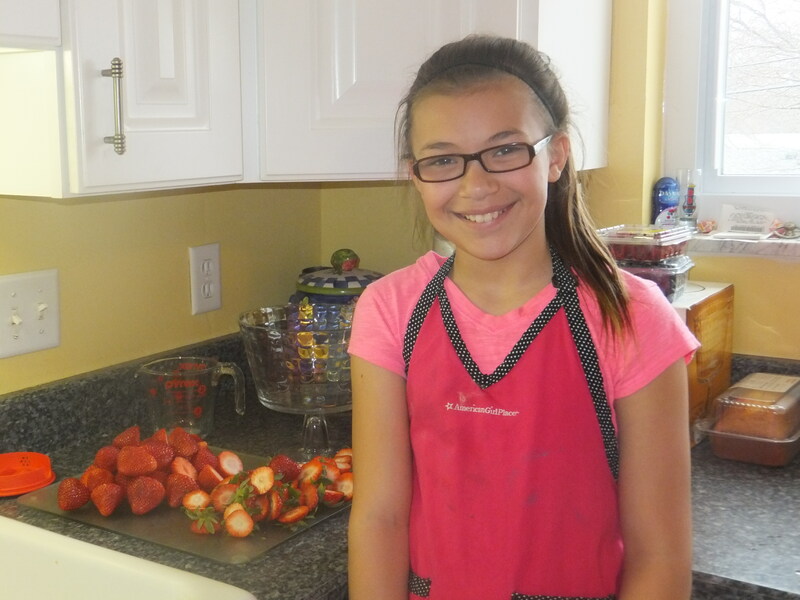 Hi, my name is Melanie Sievers and I am taking over my moms blog today. Plus I made this all by myself and I am calling it “Melanie’s Ultimate Chocolate Trifle.” I hope you all enjoy this wonderful and delicious dessert. Gather all of your ingredients, which are listed up above. Cut the stems of the strawberries off and cut each one in half. This will make it easier to put on the trifle. Place all the strawberries in a bowl and sprinkle some sugar on it. Get the package of pudding and pour it in the bowl. Now you want to put three cups of milk in the bowl with the pudding. Stir until it is thick enough to be like pudding. Slice the pound cake into cubes. 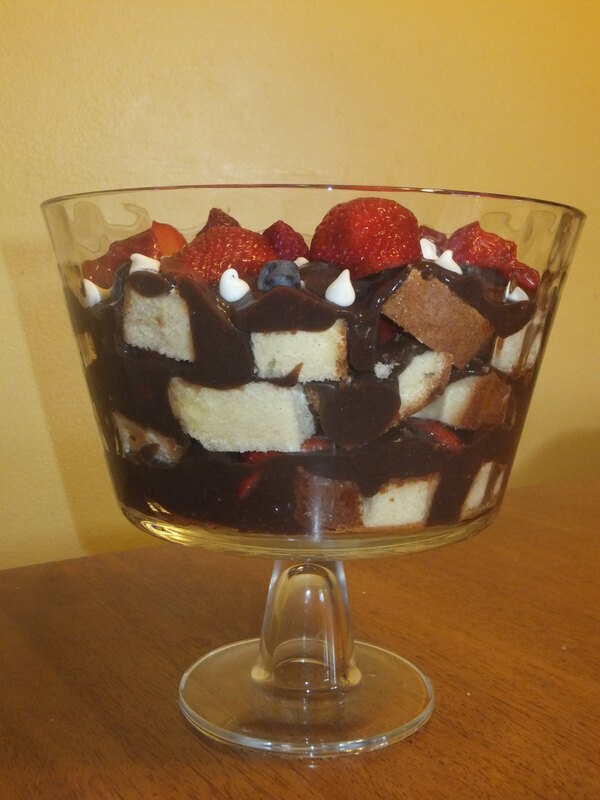 Get your trifle bowl and place pound cake cubes in bowl until the bottom is full. Put your pudding on top of the pound cake until you don’t see anymore pound cake. Place about 6-8 strawberries on the pudding and the repeat steps 5-7 three times. You can now place other ingredients on top of the pudding like: raspberries, with sugar, blueberries, white chocolate chips and any other yummy ingredients that you would like to put on your trifle. Put your trifle in the fridge for about two hours or more.